This snappy tool boasts a bevy of features that give your photos an artistic bend the old-fashioned way. 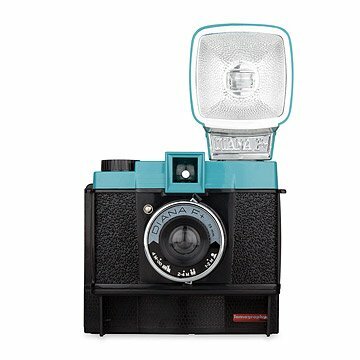 Diana Instant Camera includes flash adapters, colored gel flash filters, 55mm wide angle lens, close-up lens, lens caps for 55mm and close-up lens, strap, and instruction manual. Diana Instant Camera does not include film. To purchase Mini Instant Film, please select it from the drop down menu. Mini Instant Film - 2 Pack includes two packs of 10 sheets of film (20 sheets total). Diana Instant Camera produces 3.5" L x 2.25" W (credit card size) photographs.